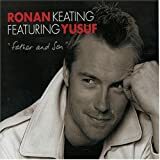 Ronan Patrick John Keating (born 3 March 1977) is an Irish recording artist, singer, musician, and philanthropist. He debuted in 1994 alongside Keith Duffy, Michael Graham, Shane Lynch, and Stephen Gately, as the lead singer of Irish group Boyzone. His solo career started in 1999 and has recorded nine albums. He gained worldwide attention when his single "When You Say Nothing at All" was featured in the film Notting Hill and peaked at number one in several countries. As a solo artist, he has sold over 20 million records worldwide alongside the 25 million records with Boyzone, and in Australia, he is best known as a judge on The X Factor from 2010 until 2014 and a coach on The Voice in 2016. 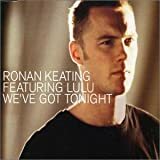 Keating is active in charity work and has been a charity campaigner for the Marie Keating Foundation, which raises awareness for breast cancer and is named after his mother who died from the disease in 1998.